Sandalwood, amber, musk and vanilla blend to create an enticing and seductive body splash. 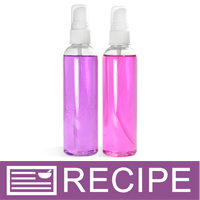 Both purple and pink liquid colors are including in this project for a variety in colors. Customers will love this product around Valentine's Day! You Save $43.60 by purchasing this kit rather than buying the items separately. "Can you use any fragrance to replace the amber romance oil? If so, how much would the recipe have to change? Thank you." Staff Answer You can use any fragrance in this recipe. 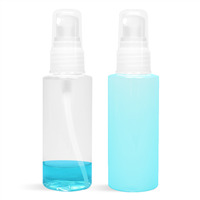 If the fragrance does not contain vanilla, you can leave out the vanilla color stabilizer. "I am looking to use the vanilla color stabilizer for the amber romance mist. Which is the best to use from WSP?" 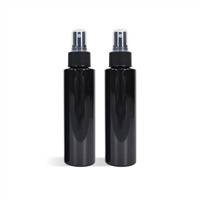 Staff Answer We would recommend using the stabilizer for lotions and washes. "Can I add an essential oil or oils to this? Will the plastic bottles hold up to the EO? " Staff Answer If you would like to substitute an Essential Oil for the Fragrance oil in this recipe we recommend reducing the amount of FO from 4oz to 1.25oz EO. This would be the equivalent of 1% EO. As the "Additional Information" for the 4oz Clear bullet states it can withstand products with EO up to 5%. Therefore this bottle can handle 1% EO just fine. "Why does the kit include the EO FO modifier? I thought the body splash was designed to accept oil based fragrance?" 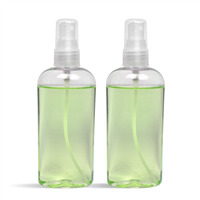 Staff Answer This kit uses the Luxury Moisturizing Mist which is a water-based product. We have found that you would need to use the modifier to help incorporate this specific fragrance oil.